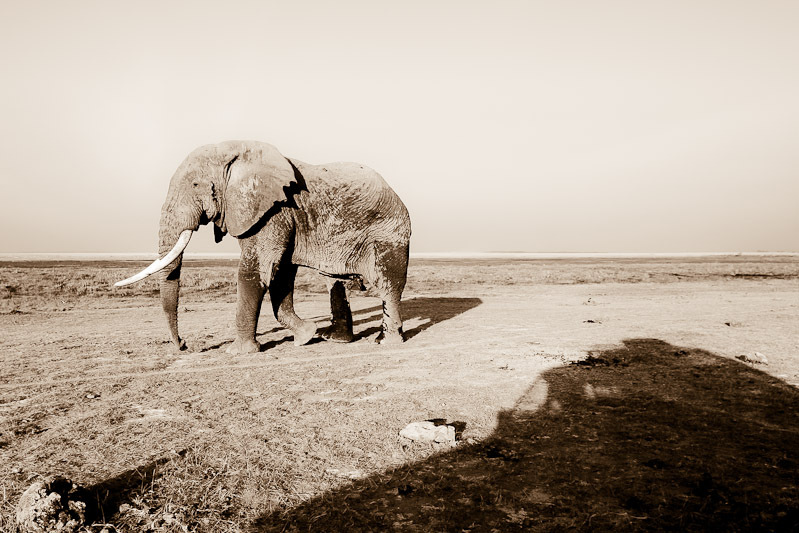 A lone bull elephant and my landrover cast long shadows over the dusty Amboseli plains. As long as you approach slowly, it is possible to drive up quite close to elephant. Amboseli National Park, Kenya.